CLUTTER CONTAINED: A new house in Bridgehampton includes a mudroom, with a side entrance, for storing sports equipment and other items. Housing construction was depressed to such a low level for so long that it wasn’t going to take much to boost the ailing sector. What it needed was for demand to recover. Now, with consumer confidence rising and mortgage rates falling to their lowest levels on record, buyers are coming back. It began earlier this year as investors scooped up properties at big discounts that they could rent at a profit—often buying homes out of foreclosure before they were taken back by banks. Consider the case of Sacramento, Calif. The supply of previously owned homes listed for sale in September was down by 60% from one year ago, led largely by big declines in bank-owned listings. Now, builders are benefiting from sharp declines in the share of foreclosed properties. Just 14% of local home sales in September were foreclosures, the lowest in more than five years and down from nearly 50% as recently as February 2011. Many traditional sellers are underwater—they owe more than their homes are worth—or aren’t willing to list their homes at prices that are down sharply from five years ago. At Taylor Morrison’s Sorrento East community in Dublin, Calif., where homes are priced from the mid-$600,000 range, sales have been running at a rate of five to six homes a month—more than double what was selling one year ago. One growing concern in markets like Sacramento is that home sales volume is falling precisely because there aren’t enough homes for sale. Rising prices could lure more sellers. Phoenix, which has witnessed strong price growth, saw inventory pick up in September. Even if sellers dither, builders won’t. Nationally, builders started construction on more units during September than any time in the past four years, after adjusting for seasonal factors, the Commerce Department said Wednesday. 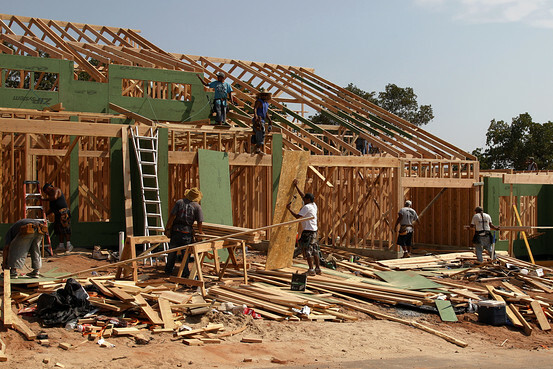 Single-family construction was up by 43% from last year’s anemic levels. On a seasonally adjusted basis, the 141,000 newly built homes for sale at the end of August was the lowest since the government began its tally in 1963. Listings of previously owned homes are at a seven year low. Meanwhile, applications for home-purchase mortgages last week hit their highest level since June and were 12% above their year-earlier reading, the Mortgage Bankers Association said on Wednesday. Gains in construction should lift the economy. Glenn Kelman, chief executive of real-estate brokerage Redfin, writes in an op-ed at Quartz that builders have been completing “half-built projects” with “skeleton crews” for much of the past year. That hasn’t done too much for job growth. “It takes fewer cooks to prepare leftovers for dinner,” he writes. But as more new projects get underway, that will change. 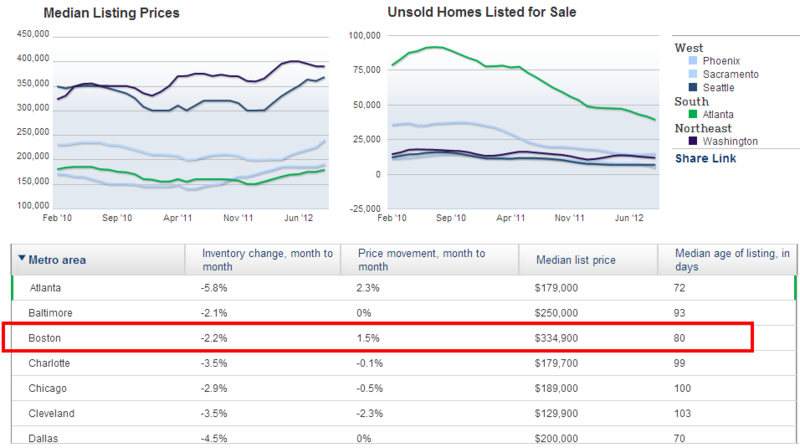 Perhaps 2013 will be the year that housing really helps the economy accelerate.